In case of violation of fat metabolism in the inner surface of the vessels deposited cholesterol plaques that clog blood vessels. Causes atherosclerosis, which in recent years progresses among people of young age and leads to the development of diseases of the heart and blood vessels. More than half of the working population of our country needs in the prevention and treatment of atherosclerosis. Rethink your diet. Include more vegetables and limit the consumption of foods high in cholesterol – fatty meat, eggs, egg yolk, whole milk. Make a full menu, including portions of lean meat, fish or cheese. Limit yourself to the consumption of easily digestible carbs – sweets, muffins, sugar. Vegetables and fruits eat fresh or baked form. Reduce the amount of salt to 7 grams per day. Overweight is able to cause cholesterol plaques. Low-calorie diet can slow the development of atherosclerosis. Change the way of life. Stop Smoking. Smoking stimulates the development of atherosclerosis, especially its intensity. Clinical studies show that an average of four years from the quitters, the level of cholesterol plaques is reduced to the level of never smokers. Exercise. Go to work by bike or on foot, take nightly walks - so you will get rid of many factors that cause atherosclerosis and maintain normal weight, reduce the risk of diabetes and stress. Clinical studies show that regular exercise increases the level of a-cholesterol, prevent atherosclerosis. Develop psychological resilience to stress. Stress leads to compression of blood vessels, loss of elasticity, improper nutrition leads to the increase of plaque. The ability to relax in any situation causes them to decline. Watch your health. Studies show that diabetes mellitus, gallstone disease lead to changes in fat metabolism, which is accompanied by increased levels of cholesterol in the blood. Remember that to reduce the level of cholesterol you can use lifestyle changes, and in the case of urgent need - medication or surgical intervention. Drugs that reduce cholesterol, are selected individually, they must control the doctor. The common term "cholesterol plaque"in medicine is called atherosclerosis. This is often a progressive disease that affects the arteries of the human body due to the accumulation in them of cholesterol that impedes blood circulation. Today atherosclerosis is the most common cause of mortality among the population of developed countries. The basic factors of cholesterol: the bad condition of walls of blood vessels, the abuse of fatty foods, Smoking, alcoholism, lack of exercise, genetic predisposition, chronic diseases (diabetes, hypertension, obesity), older age and male gender. Cholesterol refers to fats and has very important functions in the body. It is a part of all cells and is involved in the process of hormone production. Most cholesterol is produced in the liver and the rest comes from food. In humans it is part of lipoproteins (a complex of fat and protein), and then transferred from the liver to the cells and tissues. Excess cholesterol is deposited in the liver and excreted by the urinary system. In the event of a failure of this process, the integrity and barrier function of the inner layer of blood vessels is disrupted, so developing atherosclerosis. The initial changes come about twenty years old, and peak at forty, when plaque becomes critical dimensions and life threatening. 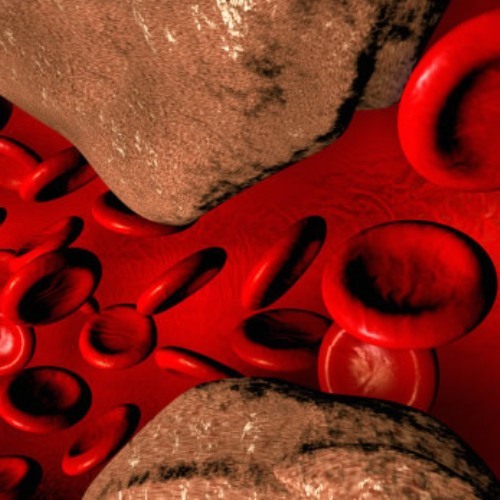 Penetrating through the walls of blood vessels, the amount of cholesterol increases, blood vessels constrict, and the normal blood flow impossible. To the organs and systems of the human body almost no blood flow, may develop inflammation and blood clots. For a long time, clear signs of plaque formation do not exist, as the vessels compensate for their appearance by bulging outward. However, under the influence of various factors, be it physical activity, hypertension or arrhythmia atherosclerotic plaque lose stability, and in vessels having cracks and breaks. So develop blood clots that provoke vasoconstriction. At this stage, appear the clinical manifestations that the patient may have to notice. Depending on the localization of plaque in certain arteries, the symptoms and the clinical picture is different. Atherosclerosis of the coronary arteries of the heart appears angina or heart attack. If the affected aorta, there is a heaviness in the chest, pressing pain, radiating to the arms, back and neck. With the defeat of the vessels of the kidney patients get hypertension. Fatigue, poor concentration, memory and efficiency may indicate atherosclerosis of cerebral vessels. About the disease say the symptoms such as insomnia and dizziness, and the complication, cerebrovascular accident, hemorrhage and thrombosis. Reduce the risk of cholesterol plaques in the blood vessels is the elimination of the factors influencing their development. This means that you want to exclude from the diet of fatty foods, give up alcohol and Smoking, normalizing physical activity and avoid stressful situations. 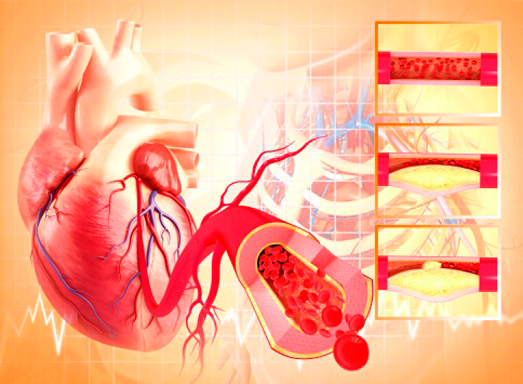 Atherosclerosis – a disease of insidious and creeping, and its complications directly threaten the health and life. Therefore, preventive doctor's visit, observation and testing once a year is the minimum required. This is especially true of people whose predisposition to atherosclerosis is a hereditary factor.